CAMBRIDGE, Mass.--(BUSINESS WIRE)--Apr. 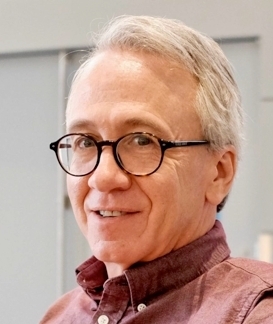 9, 2019-- Synlogic, Inc. (Nasdaq: SYBX), a clinical stage company applying synthetic biology to beneficial microbes to develop novel, living medicines, today announced the appointment of Scott Plevy, M.D., as Chief Scientific Officer. Dr. Plevy will have responsibility for Synlogic’s research organization and will report to Aoife Brennan, M.B., Ch.B., Synlogic’s president and chief executive officer. Dr. Plevy is a gastroenterologist who most recently served as Vice President, Gastroenterology Disease Area Leader and IL-23 Pathway Leader at Janssen Research & Development, LLC, after a successful career in academia. He has served as the lead investigator on multiple early-phase clinical trials, published over 100 referenced papers and articles on a breadth of topics from disease-specific targets to basic immunology and molecular biology, and performed translational research to advance the understanding of novel immunologic interventions in inflammatory bowel disease, other inflammatory conditions, and microbiome-related diseases. He earned an M.D. degree and an A.B. in mathematics from Columbia University and carried out his residency training in internal medicine at Brigham and Women’s Hospital in Boston. Dr. Plevy replaces Dr. Paul Miller who recently joined Synlogic’s scientific advisory board. Synlogic is pioneering the development of a novel class of living medicines, Synthetic Biotic™ medicines, based on its proprietary drug development platform. Synlogic leverages the tools and principles of synthetic biology to genetically engineer beneficial microbes to perform or deliver critical functions missing or damaged due to disease. Synthetic Biotic medicines are designed to act locally and have a systemic effect to address disease in patients. Synlogic’s two lead programs, SYNB1020 and SYNB1618, are orally administered and target hyperammonemia as a result of liver damage or genetic disease, and phenylketonuria, respectively. Synlogic is also developing SYNB1891 as an intratumorally-administered Synthetic Biotic medicine for the treatment of cancer. In addition, the company is leveraging the broad potential of its platform to create additional Synthetic Biotic medicines for the treatment of liver disease, as well as inflammatory and immune disorders including Synlogic’s collaboration with AbbVie to develop Synthetic Biotic-based treatments for inflammatory bowel disease (IBD). For more information, please visit www.synlogictx.com.